IK004 Tornado 4 Rover V8 4.5 Induction Kit - ACT Performance Products - your source for after market TVR upgrades, components and performance accessories. 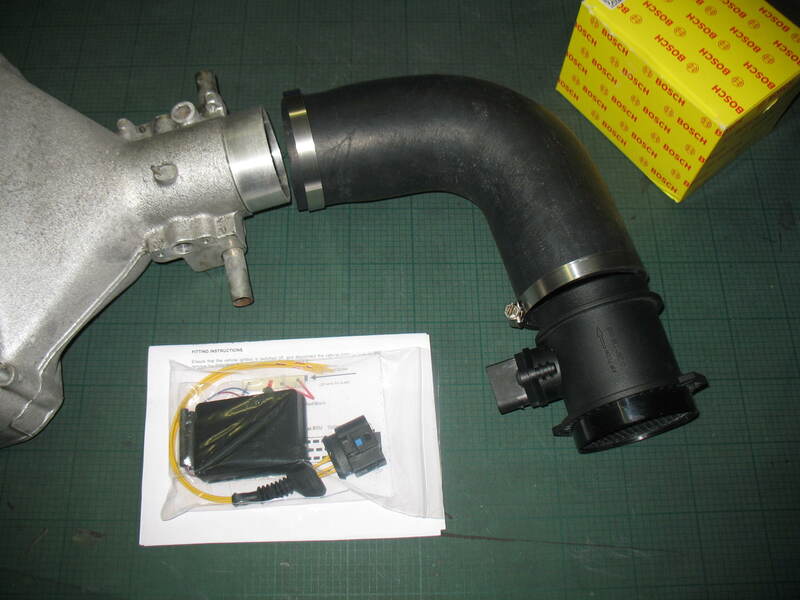 carbon fibre superflare trumpets, 71mm enlarged plenum (exchange), Bosch Air flow meter with 72mm bore, Tornado chip/ ECU software, smooth bore induction hose from plenum to meter. full fitting kit & instructions. We provide a fuel map to you exact requirements, we just need to know of any existing modifications . You can at any time in the future have a new chip/ fuel map to match any modifications or changes to your requirements for £60. even if you change car as long as you keep the tornado chip base we can always supply new fuel maps.